Allura Zamarripa of Saint Helena in the Napa area and Rudy Quan of Roseville in the Sacramento region continued their remarkable runs in the USTA National Winter Championships today. Zamarripa upset a seed for the fourth time to reach the girls 16 semifinals in Orlando, Fla. Quan, seeded seventh in the boys 12s, throttled top-seeded Nicholas Mangiapane of Davidson, N.C., 6-0, 6-1 in the quarterfinals in Tucson, Ariz. Quan has lost only seven games in his five matches. Zamarripa ousted No. 11 Carmen Corley of Albuquerque, N.M., 6-4, 6-2 in the hard-court tournament. Zamarripa also knocked off No. 4 Anessa Lee of San Marino in the Los Angeles region in the first round, No. 17 Allison Zipoli of Winnetka, Ill., in the third round and No. 13 Katja Wiersholm of Kirkland, Wash., in the fourth round. Zamarripa will take on No. 1 Gianna Pielet of El Paso, Texas. Pielet held off No. 10 Rosie Garcia Gross of New York 6-4, 5-7, 6-4 after edging Leyden Games of Newport Beach 2-6, 6-2, 7-6 (4) in the fourth round. Fourth-seeded Allura and Maribella Zamarripa lost to top-seeded Corley and Pielet 6-3, 6-4 in the doubles semis. Meanwhile, No. 7 Priya Nelson of Sacramento and No. 10 Anushka Khune of Palo Alto advanced to the girls 14 semis in Tucson, but No. 14 Tomi Main of Seaside in the Monterey area lost. Nelson beat No. 17 Nevena Carton of Middletown, N.J., 7-5, 6-2, and Khune outclassed Emma Baker of Chicago 6-2, 6-3. Khune has not lost a set in her five matches. Midori Castillo, from the San Diego suburb of Bonita, dominated Main 6-1, 6-3 to prevent an all-Northern California matchup against Khune. In the boys 14 quarterfinals in Tucson, No. 3 Samir Banerjee of Basking Ridge, N.J., downed No. 14 Brian Chong of Cupertino (near San Jose) 6-3, 7-5. Emily Novikov of Campbell in the San Francisco Bay Area ousted No. 2 seed Madeleine Jessup of Rancho Palos Verdes in the Los Angeles region 6-7 (5), 6-3, 6-4 today in the second round of the girls 12s at the USTA National Winter Championships in Tucson, Ariz.
Novikov will play unseeded Ellie Gyuro of Bountiful, Utah. Gyuro beat No. 17 seed Mariana Shulman of Newton, Mass., 3-4, retired (illness). Advancing in the girls 14s were No. 7 Priya Nelson of Sacramento and No. 10 Anushka Khune of Palo Alto. In the second round of the boys 14s, Will Mayew of Chapel Hill, N.C., knocked off No. 2 Max Fardanesh of Albany in the Bay Area 7-6 (3), 6-2. Three boys and three girls from Northern California advanced in the Winter National 18s in Orlando, Fla. Winning in the boys draw were Marcus McDaniel of Vacaville, Eric Hadigian of Sacramento and John Carroll of Greenbrae. Triumphing in the girls bracket were No. 17 seeds Jessi Muljat of Sacramento and Connie Ma of Dublin and unseeded Emily Zhou of Palo Alto. Winners in the 16s in Orlando included No. 17 seeds Karl Lee of Sacramento and Zachery Lim of Fairfield among boys and No. 17 India Houghton of Belvedere Tiburon and Allura Zamarripa of Saint Helena among girls. Everyone who predicted that Jelena Ostapenko and Sloane Stephens would win Grand Slam singles titles this year, please raise your hand. Serena Williams' absence for the last three majors while expecting and delivering her first child didn't hurt. That opened the way for Ostapenko, a 20-year-old Latvian, and Stephens, a 24-year-old Fresno product, to break through. 1. Stephens wins U.S. Open -- Only two months after returning from foot surgery, Stephens routed her close friend Madison Keys 6-3, 6-0 in 61 minutes to win the U.S. Open. It was the first Grand Slam final for both players, the first all-American women's final in the U.S. Open since Serena Williams defeated Venus Williams in 2002 and the most lopsided women's final at Flushing Meadows since Kim Clijsters trounced Vera Zvonareva 6-2, 6-1 in 2010. 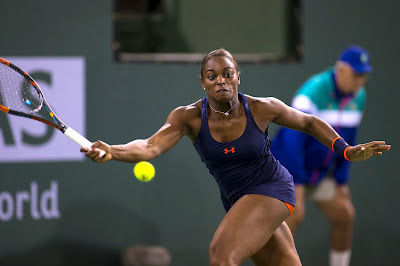 Stephens became only the second unseeded woman to win the U.S. championships in the Open Era (since 1968) and the first American woman not named Williams to capture the title since Lindsay Davenport in 1968. 2. Bellis named WTA Newcomer of the Year -- CiCi Bellis, an 18-year-old product of Atherton in the San Francisco Bay Area, jumped from No. 90 at the beginning of the year to a career-high No. 35 in August. Bellis defeated four top-20 players during the season: No. 6 Agnieszka Radwanska in Dubai, No. 8 Svetlana Kuznetsova in Toronto, No. 14 Petra Kvitova at Stanford and No. 18 Kiki Bertens in the French Open. Bellis ended the year at No. 60 after withdrawing from the Hawaii Open, for an undisclosed reason, in November as the defending champion. 3. Querrey upsets Nadal for title -- San Francisco native Sam Querrey completed a dream week with a 6-3, 7-6 (3) victory over Rafael Nadal for the Mexican Open title in Acapulco in March. Querrey, unseeded at No. 40 in the world at the time, beat a top-20 player for the fourth time in four days. Two of them, Nadal and defending champion Dominic Thiem, were ranked in the top 10. Querrey, who turned 30 in October, ended the year with a career-high ranking of No. 13. 4. Querrey reaches Wimbledon semifinals -- Coming off three consecutive five-set victories, Querrey lost to 2014 U.S. Open champion Marin Cilic 6-7 (6), 6-4, 7-6 (3), 7-5 in a semifinal matchup of 6-foot-6 (1.98-meter) players at Wimbledon. Querrey, the first player to win three straight five-set matches at Wimbledon since Janko Tipsarevic of Serbia 10 years ago, became the only active U.S. man to advance to a Grand Slam semifinal. 5. Stanford's Geller tops world junior rankings -- Stanford freshman Axel Geller of Argentina rose to No. 1 in the ITF world junior boys rankings in November. It's uncertain if another college player has achieved that distinction. 6. Altamirano helps Virginia win third straight NCAA title -- Collin Altamirano, a junior from Sacramento, helped the Virginia men win their third consecutive NCAA title, and fourth in five years, with a 4-2 victory over Atlantic Coast Conference rival North Carolina in Athens, Ga.
straight into a wildfire near Sonoma before quickly turning around. 7. Aussie reaches semis after harrowing evacuation -- Chris O'Connell called it the "scariest moment of my life." 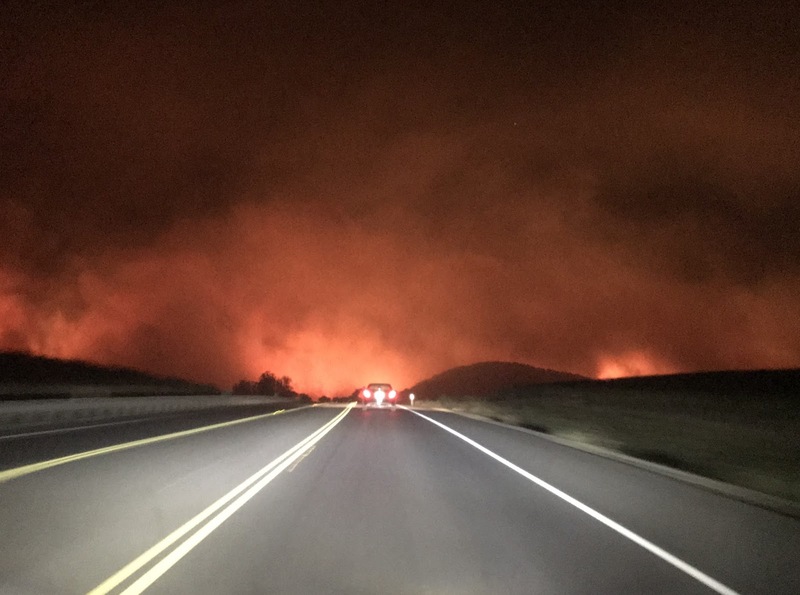 The 23-year-old Australian, who was trying to qualify for the $100,000 Fairfield Challenger, had been evacuated with his coach and their host family as wildfires raged in nearby Napa. But as O'Connell and coach David Moore of Australia headed to Greenbrae in the San Francisco Bay Area, they encountered a wall of flames 200 yards ahead. O'Connell and Moore quickly turned around and took another route to safety. O'Connell not only qualified but reached the semifinals, losing to Bay Area native and eventual champion Mackenzie McDonald. 8. Norrie wins back-to-back Challengers -- Eighth-seeded Cameron Norrie, a 22-year-old left-hander from Great Britain, routed sixth-seeded Darian King of Barbados 6-1, 6-3 in 68 minutes in the wind in Stockton for his second consecutive NorCal Challenger title. The previous week, Norrie rolled to a 6-2, 6-3 victory over Tennys Sandgren of Gallatin, Tenn., for the Tiburon crown. 9. Phenom Anisimova wins first pro title -- Fifteen-year-old Amanda Anisimova, a potential superstar from Aventura, Fla., won her first professional title when Croatia's Ajla Tomljanovic (pronounced Eye-la Tom-lee-on-o-vich) withdrew from the final of the $60,000 Sacramento Challenger with a right shoulder injury. Missy Malool said the walkover is only the second she has experienced in a final in her 21 years as a USTA on-site supervisor. Dominika Cibulkova of Slovakia pulled out against former Stanford star Laura Granville in a $50,000 clay-court tournament in Charlottesville, Va., in 2006 with a leg injury. 10. Ovrootsky, Keenan Mayo win Eddie Herr titles -- Second-seeded Vivian Ovrootsky, from San Jose, beat fourth-seeded Linda Fruhvirtova of the Czech Republic 7-6 (4), 6-4 for the girls 14 title in the prestigious Eddie Herr International Championships in Bradenton, Fla., in November. Unseeded Adrian Andreev of Bulgaria and Keenan Mayo, from the Sacramento suburb of Roseville, topped eighth-seeded Alan Fernando Rubio Fierros of Mexico and Dostanbek Tashbulatov of Kazakhstan 3-6, 6-4 [10-4] for the boys 18 doubles crown. in the Bank of the West Classic at Stanford. Honorable mention -- The Bank of the West Classic, a WTA tournament held at Stanford since 1997, will move to an undisclosed site in or out of the Bay Area. --Bellis earned her first victory over a top-10 player, ousting No. 6 Radwanska 6-4, 2-6, 6-2 to reach the quarterfinals of the Dubai Duty Free Tennis Championships in February. --Bellis crushed Kvitova, a two-time Wimbledon champion, 6-2, 6-0 in 62 minutes in the quarterfinals of the Bank of the West Classic. --Maria Sharapova defeated Jennifer Brady 6-1, 4-6, 6-0 in the first round of the Bank of the West Classic in the former world No. 1's first tournament match in North America in more than two years. Sharapova, 30, returned from a 15-month doping suspension in April. --After beating fellow American CoCo Vandeweghe 7-6 (4), 6-4 for the title in the Bank of the West Classic, Madison Keys walked to Vandeweghe's chair, hopped on her close friend's lap and hugged her. --McDonald, a 22-year-old Piedmont product, defeated former Stanford star Bradley Klahn 6-4, 6-2 in Fairfield for his first Challenger singles title after going 0-7 in semifinals at that level. --Qualifier Zhang Ze subdued seventh-seeded Vasek Pospisil of Canada 7-5, 3-6, 6-2 in San Francisco to become the second Chinese man to win a Challenger singles title. Wu Di took the Maui crown in January 2016. --San Francisco Bay Area residents Katie Volynets and Ryder Jackson won titles in the USTA Junior Clay Court Championships. Volynets triumphed in girls 18 singles in Memphis, Tenn., and Jackson prevailed with Robert Cash of New Albany, Ohio, in boys 16 doubles in Delray Beach, Fla.
--Ovrootsky swept the girls 12 singles and doubles crowns in the USTA National Winter Championships in January in Tucson, Ariz.
--Priya Nelson of Sacramento dominated Eleana Yu of Mason, Ohio, 6-1, 6-3 in a matchup of unseeded players in the Easter Bowl girls 12s final at Indian Wells, Calif.
No. 2 seed Sofia Costoulas of Belgium routed No. 7 Priya Nelson of Sacramento 6-2, 6-0 today in the girls 12 quarterfinals at the Junior Orange Bowl on clay in Coral Gables, Fla.
Nelson won the Easter Bowl 12s in March in Indian Wells. Costoulas will play No. 3 No. 3 Alexandra Eala of the Philippines in the singles-only tournament. Eala beat No. 9 Kayla Cross of Canada 7-6 (5), 6-1. Fruhvirtova lost to Vivan Ovrootsky of San Jose in the final of the Eddie Herr 14s two weeks ago on a hard court in Bradenton, Fla.
Seventh-seeded Priya Nelson of Sacramento topped Mao Mushika of Japan 6-4, 2-6, 6-3 today to reach the girls 12 quarterfinals in the Junior Orange Bowl on clay in Coral Gables, Fla.
Nelson is scheduled to face second-seeded Sofia Costoulas of Belgium on Sunday at 8 a.m. PST. Costoulas beat Savaka Ishii of Japan 6-7 (5), 6-1, 6-1. Nelson won the Easter Bowl 12s title in March in Indian Wells. Northern California's hopes in the Junior Orange Bowl now rest with Priya Nelson. The seventh-seeded Nelson, from Sacramento, topped Marylove Edwards of Nigeria 7-6 (2), 6-2 today to reach the round of 16 in the girls 12s at the Junior Orange Bowl on clay in Coral Gables, Fla.
Nelson, who won the Easter Bowl 12s in March, will face unseeded Mao Mushika of Japan in the singles-only tournament. Mushika routed Ada Jane De Alcantara of Boca Raton, Fla., 6-1, 6-1. Nelson could face second-seeded Sofia Costoulas of Belgium in the quarterfinals. Fourth-seeded Vivian Ovrootsky of San Jose and unseeded Hina Inoue of Los Gatos lost in the girls 14s. No. 17 seed Klara Milicevic of Sweden outlasted Ovrootsky, who won the Eddie Herr 14s two weeks ago on hard courts in Bradenton, Fla., 3-6, 6-4, 6-3. China's Li Zongyu, also seeded 17th, beat Inoue 6-4, 6-4. Hina Inoue of Saratoga in the San Francisco Bay Area ousted ninth-seeded Elaine Chervinsky of Boca Raton, Fla., 2-6, 6-4, 6-4 today in the second round of the girls 14s in the Junior Orange Bowl at Coral Gables, Fla.
Inoue and Vivan Ovrootsky of San Jose reached the doubles semifinals of the 14s in the Eddie Herr International Championships two weeks ago in Bradenton, Fla.
Ovrootsky won the Eddie Herr 14s in singles. Seeded fourth in that age group in the Junior Orange Bowl, Ovrootsky dispatched Danielle Tuhten of Canada 6-2, 6-3. Seventh-seeded Priya Nelson of Sacramento advanced in the girls 12s, beating Meera Jesudason of Berwyn, Pa., 6-4, 6-1. Max Fardanesh of Albany and ninth-seeded Ria Bhakta of Los Gatos lost by retirement in the boys 14s and girls 12s, respectively. Fardanesh withdrew from his match against Pedro Boscardin Dias of Brazial, and Sayaka Ishi of Japan defeated Bhakta 6-4, 2-0, retired. All three Northern California seeds breezed to first-round victories today in the Junior Orange Bowl in Coral Gables, Fla. In the girls 14s, No. 4 Vivian Ovrootsky of San Jose overwhelmed Lakshanya Vishwanath of India 6-1, 6-0. Ovrootsky won the Eddie Herr 14s two weeks ago in Bradenton, Fla. In the girls 12s, No. 7 Priya Nelson of Sacramento crushed Ella James of Canada 6-0, 6-0, and No. 9 Ria Bhakta of Saratoga dominated Miezi Gutzeit of Germany 6-3, 6-1. Two unseeded Northern Californians also advanced, and one lost. In the girls 14s, Hina Inoue of Los Gatos blitzed Valentina Silva of Brazil 6-0, 6-0, but Yuu Ishikawa of Los Altos fell to No. 9 Mara Guth of Germany 6-0, 6-2. In the boys 14s, Max Fardanesh of Albany defeated Milo Gazivoda of Montenegro 6-1, 7-5. Keenan Mayo's doubles winning streak ended today at seven matches. The 17-year-old product of Roseville in the Sacramento area and Tomas Kopczynski of Delray Beach, Fla., lost to Daniil Glinka of Estonia and Sumit Sarkar of New York 6-1, 1-6 [10-8] today in a battle of unseeded teams in the boys 18 quarterfinals at the Orange Bowl on clay in Plantation, Fla.
Keenan Mayo has signed a letter of intent to play at Illinois next fall. Past singles winners of the Orange Bowl 18s include Chris Evert (1969-70), Bjorn Borg (1972), John McEnroe (1976), Ivan Lendl (1977), Gabriela Sabatini (1984), Mary Joe Fernandez (1985), Jim Courier (1987) and Anna Kournikova (1995). Singles winners of the tournament on hardcourts include Roger Federer (1998), Elena Dementieva (1998), Andy Roddick (1999), Vera Zvonareva (2000 and 2001), Marcos Baghdatis (2003) and Caroline Wozniacki (2005). Northern Californians Aidan Mayo and Marcus McDaniel won their second-round matches today in the boys 16s at the rain-delayed Orange Bowl International Tennis Championship on clay in Plantation, Fla. The ninth-seeded Mayo, from Roseville, beat Harrison Gold of Aventura, Fla., 6-2, 7-6 (3). The 13th-seeded McDaniel, from Vacaville, eliminated James Tracy of Hilton Head Island, S.C., 6-4, 6-3. Mayo, a semifinalist in the Eddie Herr 14s last week, will face seventh-seeded Roi Ginat of Israel. Ginat defeated Ryder Jackson of Nicasio 7-5, 7-5. McDaniel will take on top-seeded Nini Gabriel Dica of Romania. Dica dispatched Martin Maldonado of Ecuador 6-2, 6-0. Dica has lost only three games in two matches. Fifth-seeded Alexander Lee of Oak Brook, Ill., and McDaniel reached the doubles quarterfinals with a 6-2, 7-6 (3) victory over Juan Bianchi of Ocoee, Fla., and Angel Guerrero Melgar of Spain. Keshav Chopra of Marietta, Ga., and Brandon McKinney of Marietta, Ga., defeated Zachery Lim of Fairfield and Russell Berdusco of Bradenton, Fla., 6-3, 6-4. In the first round of the girls 18s, Niluka Madurawe of Sunnyvale routed qualifier Chen Yao of China 6-1, 6-2. Madurawe will play sixth-seeded Nika Radisic of Slovenia. 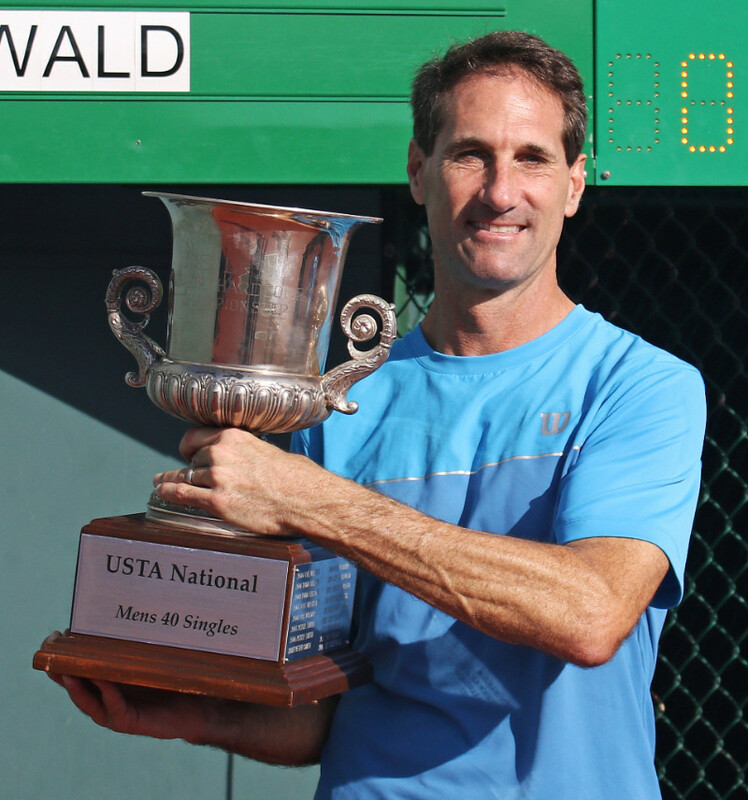 Not even David McNamara's hard serving could prevent Jeff Greenwald from winning the USTA National 40 Hard Court Championships for the second straight year and third time overall. The third-seeded Greenwald, from San Anselmo in the San Francisco Bay Area, beat the top-seeded McNamara, from Delray Beach, Fla., 3-6, 7-5, 6-3 in two hours, 13 minutes today in the San Diego suburb of La Jolla. "I haven't seen a first serve like that in a long, long time," Greenwald, 51, said in a news release. "Adjusting to that and finding a way to manage that was very, very difficult. It put a lot of pressure on me, and it forced me to go for more on my first serve. I served well, and that made the difference for me today." In Saturday's women's final, top-seeded Hiromi Sasano of La Mesa in the San Diego area beat second-seeded Dina McBride of Valencia, near Los Angeles, for the second consecutive year, 7-5, 6-1. Vivian Ovrootsky and Keenan Mayo continued Northern California's recent success in the prestigious Eddie Herr International Championships. The second-seeded Ovrootsky, from San Jose, beat fourth-seeded Linda Fruhvirtova of the Czech Republic 7-6 (4), 6-4 today for the girls 14 title on hard courts in Bradenton, Fla.
Ovrootsky, ranked second nationally in the 14s, lost only one set in her six matches. She prevailed 3-6, 6-1, 7-5 against Remika Ohashi of Japan in the second round. Unseeded Adrian Andreev of Bulgaria and Mayo, from the Sacramento suburb of Roseville, topped eighth-seeded Alan Fernando Rubio Fierros of Mexico and Dostanbek Tashbulatov of Kazakhstan 3-6, 6-4 [10-4] for the boys 18 doubles crown on clay in Bradenton. Andreev and Mayo won three of their five encounters in match tiebreakers, including 12-10 in the semifinals. Mayo will enroll at the University of Illinois next fall. Katie Volynets of Walnut Creek in the San Francisco Bay Area won the girls 16 singles championship last year, and Sam Riffice, who grew up in the same neighborhood as Mayo, captured the boys 16s in 2014. Riffice will play at the University of Florida. Past competitors in the Eddie Herr tournament include Roger Federer, Andy Roddick, David Nalbandian, Maria Sharapova, Jelena Jankovic and Ana Ivanovic. Herr, the father of international junior tennis, died in 2000 at 93.